A car is considered totaled when the cost of repairs is greater than the car's worth. These totaled cars get a salvage title. Think about that for a second. 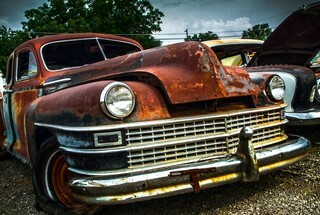 In order for a car to be termed "salvage," the cost of repairs has to outweigh the car's value. So when all is said and done, don't expect to get a perfect car for 40 percent off the price. The numbers just don't add up. However, a buyer's fear of the dreaded salvage title means that the price of a salvaged car might, in fact, drop below what it's really worth. Think of it as sweat equity -- you put in the work and worry of finding, troubleshooting, insuring and likely fixing a salvage auto, and you've paid for the work in the form of savings on the sticker price of a regular car. It's a teeter-totter, with your time, money and effort on one side and the car on the other. Which way does the teeter-totter tip? If the car's value outweighs all the stuff you have to put into it, it's a good deal in the long run; however, if the headache, cost and time outweigh the car, it's a bad deal. Here are 10 tips that may help tilt the teeter-totter in favor of a purchase. By far the most common reason for a car or truck to get labeled "salvage" is involvement in a crash. But in some states, flood and fire damage are also listed as salvage [source: CARFAX]. And these flood and fire salvages are tricky -- things that seem to be working can and do fail, and it's hard to predict what, exactly, needs to be done to bring these flood and fire cars into reasonably reliable condition. 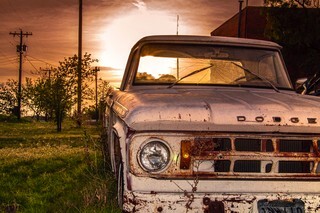 The gist: Buyer beware of cars or trucks salvaged due to fire or water damage. Some of the things you'll want to consider when looking at a salvage car are insurance, warranty, financing, registration, claims and resale. Insurance: Insuring a salvage car varies by state and by insurer, but you should expect to get at least liability insurance in most states from most companies. Warranty: Don't count on it. In fact, you can almost be sure there will be no warranty offered on a salvage auto. Ask, though -- some salvage dealers may offer some warranties. Financing: Again, don't count on it. Most salvage buyers pay cash. Registration: This varies by state. In some states, a police officer must inspect a salvage-title car before it can be registered and driven. In others, a repair shop certification is required for licensing. Check with your state's Department of Motor Vehicles for details. Claims: So you've wrecked your salvaged car? Good thing you found an insurance company that offers comprehensive. Still, don't expect them to pay more than 80 percent of the car's listed value. 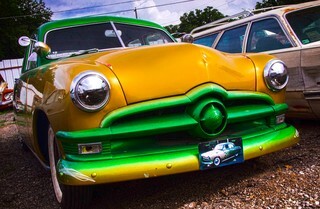 For this reason, many owners of salvage cars choose not to pay for insurance outside their state's required minimums. 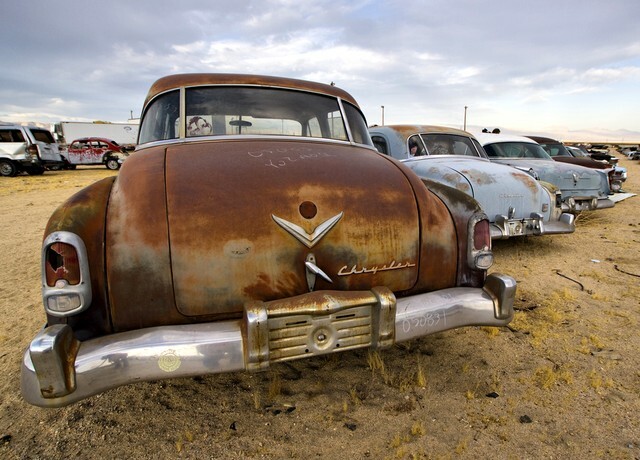 Resale: Once a salvage title, always a salvage title, even if you pay for repairs that restore the auto to 100 percent of its working condition. You shouldn't expect to resell your salvage auto for big bucks. Review: Why does an insurance company stick the title "salvage" on a car? Because the cost of repair exceeds the value of the vehicle. So imagine the damage that would have to take place in order to make a new $50,000 car not worth repairing. That's a serious crash, and it's likely you don't want a car that's been hit that hard. Now imagine an older car. It might only take a fender bender to total a car with a Kelley Blue Book (KBB) value of $5,000. These reliable older cars are generally the best salvage buys. This should help you evaluate a dealer's description of damage compared to the price of a car. If you come across a salvage dealer claiming minimal damage on a new car, your spidey senses should start tingling. Just like anywhere, a deal that seems too good to be true probably is. The rule of thumb is that a fully reconstructed salvage car is worth roughly 60 percent of a car of the same make, model and year with a clean title. So when buying a reconstructed car, start with the KBB or National Automobile Dealers Association (NADA) value and multiply by 0.6. Is the asking price higher or lower? If lower, it's a good deal. But that imagines that all the damage has been repaired, and this very well might not be the case. If you're buying a salvage car that hasn't yet been repaired -- or a car that's been repaired, but not to 100 percent of its full condition -- deduct the predicted cost of these repairs from the 0.6-times-the-KBB value. Having a used car inspected by a reputable repair shop -- without ties to the dealership -- is a very good idea. Having a salvage auto inspected before you buy is absolutely indispensable. Don't consider buying without it. In addition to offering peace of mind when buying a salvage car that's already been reconstructed, an inspection can tell you exactly how much you'll be putting into repairs on a car that still needs to be rebuilt. If possible, have the inspection done at the body shop you plan to use for repairs so you'll be on the same page. Finally, a pre-purchase inspection can pay for itself. What dealer comprehensively lists each and every wear, tear, leak, ding, dent and question mark? After your inspection, use the findings to ask the dealer for an additional reduction in price. As you can imagine, you can't buy a salvage auto, strap it together with duct tape and drive off down the freeway. Decaying, decrepit and damaged cars are a danger not only to their drivers, but also to everyone else on the road. For this reason, you'll have to jump through the hoop of a rebuilt auto inspection before you can license your salvage auto. Depending on your state, inspection must either be by any licensed body shop, a body shop specifically licensed to inspect rebuilt autos or a police officer. Most states also require a specific addition to the registration paperwork, detailing the damage and repairs. And some states have an entirely separate office for licensing rebuilt autos. Again, check your state's specific requirements: Here are links to the 50 state DMVs. There are two conditions in which you can buy a salvage auto: repaired or in need of repair. Obviously, the first is easier -- the work is already done, and a salvage auto dealer might have done some of the inspection and licensing legwork for you. If you buy a repaired salvage auto, you might be able to drive it out of the showroom. However, buying a wrecked car allows you to monitor the repairs yourself. First and foremost, you can ensure that all repairs are done to your standards. Second, the cost-conscious buyer can choose which repairs to have completed and which quirks they're willing to live with. You don't care if the back power window doesn't work? Just pocket the cost of the repair. 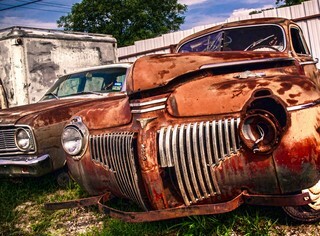 Again, buying a salvage auto is sweat equity -- the more work you're willing to do yourself, the more money you'll save. Bingo! This can be the golden ticket designation for a salvage auto. Basically, if a stolen car isn't recovered within three weeks -- or in some cases, 30 days -- the insurance company pays the original owner and writes the stolen car off as a total loss. If the car is found after that, it gets a salvage title -- and it might not have any damage at all. Then again, it might. And dealers aren't stupid -- they expect to sell autos salvaged due to theft recovery at higher prices than a car salvaged due to damage. Like any used car, and especially a used salvage car, be sure to have a theft recovery vehicle inspected by a reputable repair shop prior to purchase -- it may have unseen damage. The CARFAX, that is. So you've had the salvage auto inspected by a qualified repair shop -- still, the inspection might not tell you anything about the car's past history as a wretched lemon. In addition to going on a thorough hunt for current damage, make sure you look into the car's past. As a first step, consider a free Vehicle Identification Number (VIN) check at the National Insurance Crime Bureau. This will show you if a car has a salvage title, or if the car has been reported as stolen (but not recovered). You can usually find a car's VIN on the driver's side interior dash, where it can be seen through the windshield. You know the stereotype of used car dealers as snake-oil salesmen looking to foist lemons on unsuspecting buyers? Well, it's only sometimes true. But you should be doubly cautious when choosing where to buy your salvage auto. If you know a reputable local dealer, preferably whose kids are in Boy Scouts with your kids, great. If not, things get a little gray. The bottom line? Make sure you check out both the salvage dealer and the specific car before you consider buying. Start by checking the Better Business Bureau for complaints. If you bid on a salvage auto at one of the many online clearinghouses, be sure you don't skimp on the evaluation just because you're doing it at a distance. Keep your head in charge of your heart, and take it slow.